"The Russian soldier loves his 'mother Russia', and beacause of that he is fighting for the communist formation, but he is not a political fanatic." "The Russian is staying a good soldier always and in any conditions." 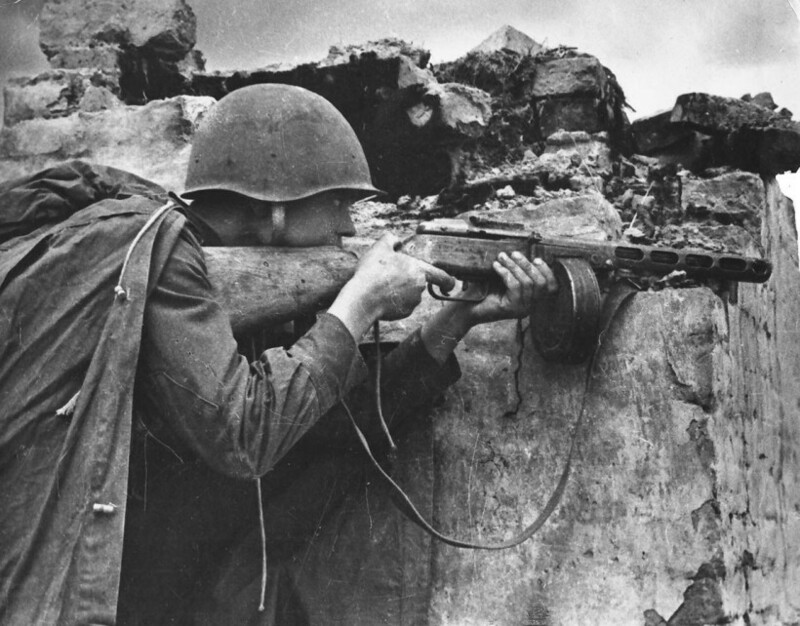 The individual score of an infantryman is known in rare cases. Malko P.A. 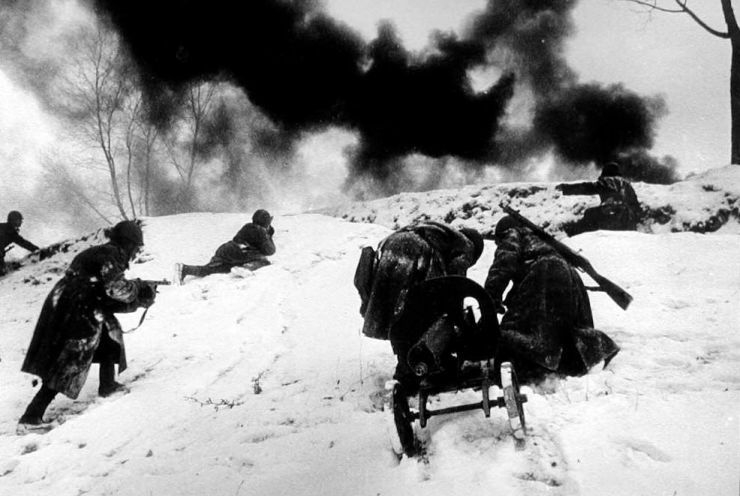 (19th Guards tank brigade) killed over 300 enemy soldiers. Kozlov Nikolay Andreyevich (749th rifle regiment, lt.) destroyed about 300 enemy soldiers, 2 cars. Gusev Vasiliy Sergeyevich (1st lt, 24th Guards airborne regiment) - destroyed 4 tanks, and tens of enemies. Abasov Baluglan (1st sgt. 888th rifle regiment) killed 106 Germans; KIA 23.11.1942. Nosov Alexander Mikhailovich - it's known 3 destroyed tanks, 1 strongpoint and 88 soldiers and officiers. Dunichev N.V. (pvt., 334th rifle regiment) - destroyed SPG, and tens of enemies. Yesaulenko V.B. (jr.lt., 71th rifle regiment) - destroyed 3 strongpoints, and tens of enemies. Yekimov G.A. (1st sgt., 536th rifle regiment) - destroyed strongpoint, and tens of enemies. Komekbaev Taimbet (533rd rifle regiment, jr.sgt.) - over 100 killed soldiers and officiers. Nedorubov K.I. (cossak squadron commander, 1st lt.) - it's known 70 killed soldiers and officiers. If you can add any data of most effective soldiers, please E-mail me. This list of infantry experts is incompleted, because in Soviet army almost weren't statistics about personal victories. In many cases I was forced to use a fragmental sources, so some scores may be actually bigger. This is the first infantry aces rating in the internet. Before the establishment of my own domen wio.ru, this site grew up at the free hostings (geocities.com, then boom.ru).